The heather bed, originally planted by 1st Keymer and Hassocks Guides is now well established and the slate chippings make it much easier to maintain. The main raised bed, designed by Georgia Cheshire, provided an impressive and colourful display of plants. (see above) The main planting was financed by Hassocks Parish Council and HAA, but many individuals donated surplus plants and the ‘left-overs’ from various plants sales in the village all contributed to the wide variety of blossom. A very fine common orchid also decided to appear, and now, early autumn, the lady tresses orchids have reappeared. The Green Group will be busy in September/October on Spring displays both on this bed and in the hanging baskets at the entrance of Grand Avenue. The Group has also dug and planted a large bed behind the cycle racks on the Brighton platform at the station. Again, the design is by Georgia and already looks promising. The Group now has a number of planters to look after and any help with every-day weeding and maintenance would be very much appreciated. HAA continues to press the landlords to repair the brickwork and continues to be unsuccessful. The Parish Council is now contributing its weight to the correspondence. HAA has provided a seat and this bird identification board which was designed by Lindsay Cross and William Hobday. Few of the small plugs donated by Sussex Wildlife Trust and Kew survived last winter’s heavy rain: gypsywort and water mint flourished, as did some brave cowslips, but otherwise we were still faced with a great deal of bare bank. ‘The plants provided include Yellow flag iris, yellow and purple loosestrife, flowering rush, great willow herb, water mint, gypsy wort, hedge woundwort, lesser and greater reed mace, branched bur-reed, galingale, soft and grey club rush, greater pond and fox sedge. All are native British aquatic marginals - species evolved to thrive on the wet margins of streams, rivers and ponds. Plus some other species (e.g willow herb, loosestrife) which can tolerate drier areas (the top of the bank is particularly hard to plant, very dry with a thin layer of soil). The reeds and rushes will help to protect the river banks and provide a source of food for birds (seeds). Each year, in conjunction with West Sussex County Council and Hassocks Parish Council, we contribute £500 to the Hassocks Village Tree Planting Scheme. So far, 225 trees have been planted on road verges by a small group of volunteers, led by Phil Mead. Vandalism has been minimal and residents have helped with watering. The total cost per tree is £150 and donations are welcomed through the Hassocks Tree Fund, c/o Hassocks Parish Council. 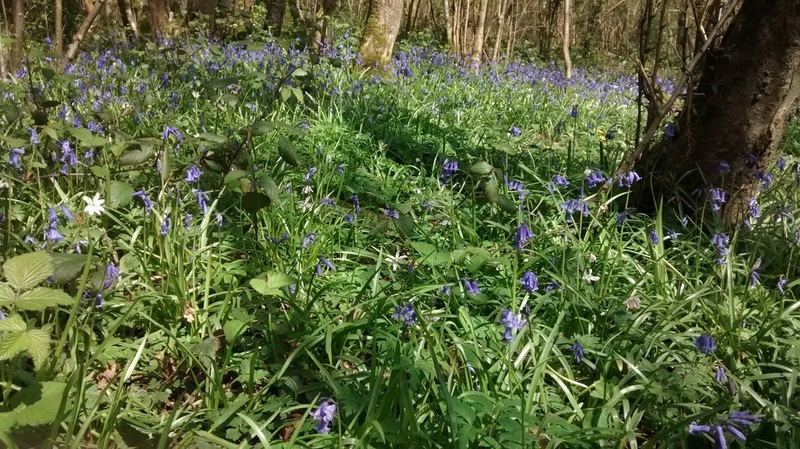 We work with the owners of Lag Wood in their plans for conservation and community access to the wood.